Simply put, Guaranteed Entry allows us to tell you today what selection rank (ATAR + Adjustment factors) will guarantee you a place in a particular degree here at UNSW. Find the selection rank you need for the degree you want by using the Guaranteed Entry widget on this page. Interstate, New Zealand NCEA Level 3 and IB students will not be disadvantaged but may receive their offer in a later round, when their results become available. Still have questions? Check out the FAQs below or contact us on 1300 UNI NSW (1300 864 679). Offers to UNSW are made based on your selection rank – which is your ATAR plus any eligible Adjustment factors. With the introduction of Guaranteed Entry, UNSW provides clarity by publishing the Guaranteed Selection Rank that assures your entry to UNSW in a particular degree. The main thing to remember is that even if you have met the Guaranteed Selection Rank for your degree of choice, we can only guarantee you a place in the degree if you have the degree listed as your highest eligible preference. Am I eligible for Guaranteed Entry? All Australian and New Zealand Citizens, holders of an Australian permanent resident humanitarian visa and Permanent Residents of Australia with a high school qualification that has been completed within the last 5 years are eligible for Guaranteed Entry as long as you have not completed any study since finishing high school (this includes university preparation programs, TAFE, private provider diplomas or university level study). You must also be eligibile for an offer as per the University's admissions guidelines - check entry requirements and any additional selection criteria here. How will I know if I have Guaranteed Entry? Once ATARs are released in December, you will receive an SMS or email from UNSW with a link to your personalised website. On this website you will see your preference/s to UNSW and whether or not you have Guaranteed Entry to any of those degrees. (Note: Interstate, New Zealand NCEA Level 3 and IB students won't receive their email until UAC has received their results). I can’t find a link to my personalised website, what do I do? 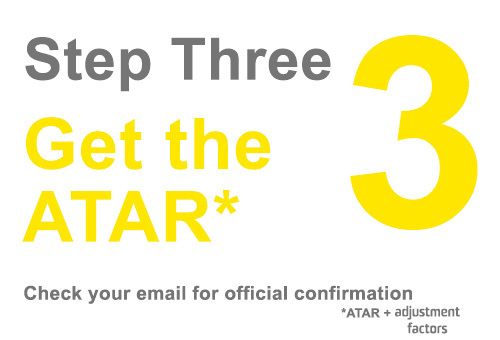 You should have received an SMS or email from us right after the release of ATAR’s so check your inbox in December. First things first, check your email’s junk mail folder just in case. If you still can't find it contact the UNSW Future Student Office on 1300 UNI NSW (1300 864 679) for advice. (Note: Interstate and IB students won't receive their email until UAC receives their results). I’ve seen the personalised site, is there anything I need to do now? To receive an official offer to UNSW in the UAC December Round, you must make sure that the UNSW degree of your choice is your highest eligible preference. 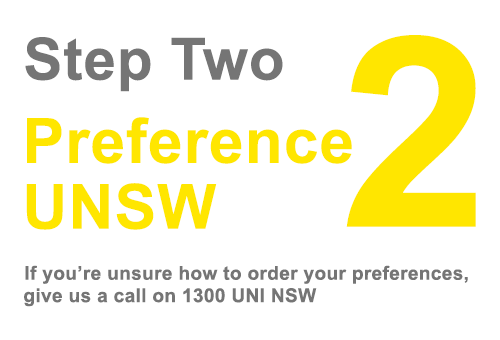 If you are unsure about how to order your preferences, contact the UNSW Future Students Office on 1300 UNI NSW (1300 864 679) for advice. What UAC Round does Guaranteed Entry apply to? Guaranteed Entry offers will be made in the UAC December Round 2 (as long as you've ordered your preferences in a way that allows us to make you this offer). For non-high school leavers with a high school qualification that has been completed within the last 5 years (you must not have completed any study since finishing high school) Guaranteed Entry applies only to the UAC Round immediately following UAC receiving your completed application; this may be as early as September. What happens if I change my UAC preferences? If you change your preferences but you don’t see a change straight away on your personalised site - don’t worry. The website will show updated preferences every 24 hours so try checking back after midday the following day. If you don’t see any change, feel free to contact the Future Students Office for advice. I have the Guaranteed Selection Rank for a degree at UNSW - what happens if I preference another degree higher? The only way we can guarantee you a place is if you have the Guaranteed Selection Rank and you have the degree listed as your highest eligible preference. That doesn’t mean to say you have to change your preferences. We would always advise students to remember UAC will make them one offer only in each round so they need to put the degree they want to study the most at the top, followed by their plan B, C, D etc as you go down the list. Still waiting on an offer for your first preference? That's okay. Just remember that if you meet the entry requirements of any degrees placed above your Guaranteed Entry degree in your preference list, then you will receive an offer to that degree and not the Guaranteed Entry degree - so remember to order your preferences carefully. Want some advice on how to preference? Call the Future Students Office on 1300 UNI NSW (1300 864 679). First, you need to remember how UAC makes you your offer. UAC will look at your first preference and ask, ‘are you eligible for an offer to this preference?’. To answer this, UAC will check to see if your selection rank (ATAR plus Adjustment factors) is above the cut-off required for that degree, and check if you meet any additional selection criteria requirements (if there are any). If your selection rank is at, or above, the cut-off, and you meet any additional selection criteria (if required), this makes you eligible for your first preference. UAC will then make you an offer to your first preference and not look at any of your other preferences. The process stops in each UAC round once they are able to make you one offer (you cannot receive multiple offers in a single UAC round). If you are NOT eligible for your first preference, UAC will move down your preferences list until it finds a preference that you are eligible for and can make you an offer. With UNSW’s Guaranteed Entry, we are telling you that you are eligible for that degree in advance. 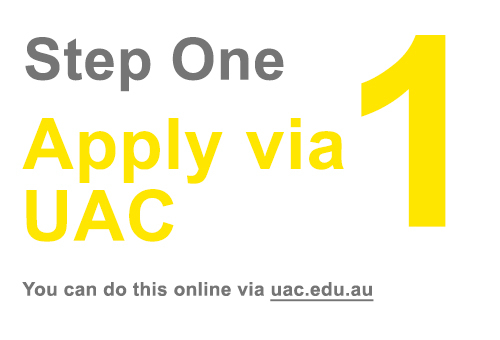 UAC will then make you an offer for your UNSW Guaranteed Entry degree in the UAC Round immediately following the release of your results, unless it finds another preference, that you are eligible for, listed above the degree that you have received Guaranteed Entry to at UNSW. This means that you could keep a non-Guaranteed Entry preference at number one if you like, but that if you are eligible for that preference, you’ll receive an offer to that preference and not any of your guaranteed preferences listed lower. Want to know more? Call us on 1300 UNI NSW (1300 864 679) and chat with our friendly staff. I have received Guaranteed Entry - but I haven't met the English Language Requirements. Do I still have a place? Your Guaranteed Entry is only valid if you meet the university's English Language Requirements. You can read UNSW's English Language Requirements here. I didn’t meet the Guaranteed Entry Rank – what can I do to still get a place at UNSW? If your selection rank (ATAR + Adjustment factors) is below the Guaranteed Selection Rank – don’t panic! You may still receive an offer to study at UNSW. If this situation applies to you, look at the 2017 cut-off as a guide to how competitive you may be. If you are near the 2017 cut-off, you may still be competitive for an offer, even though you don’t have Guaranteed Entry. If you want to chat about this, or what back-up plans may be appropriate, please ring the Future Students Office on 1300 UNI NSW (1300 864 679). The UNSW Future Students Office is available to help. Please ring us on 1300 UNI NSW (1300 864 679) or email futurestudents@unsw.edu.au and we’ll get you answers to any questions you may have. Note that during the busy results period in December/January, we may take longer to respond to emails. If your matter is urgent, please call us on the number above.